Officials said the fifth annual carnival was successful in its goal of making snow a reason to go outside, not stay in. 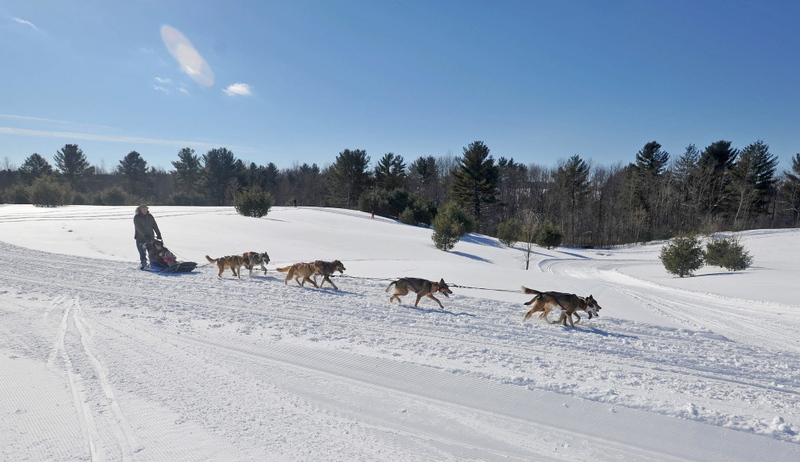 WATERVILLE — After their first ride on a dog sled, mother and daughter Laurie Hilton and Maggie Camden said they were fascinated by how much the dogs concentrated when they were pulling the sled along the track. “They were all excited and barking, but there was just total silence when they were pulling the sled. It was so interesting,” said Camden, 29, after the two finished their ride. Hilton, 56, said she wasn’t normally an outdoor person, but the sled ride was worth a trip to the Quarry Road Winter Carnival. The dog sled rides run by Heywood Kennel Dog Sled Adventures were new this year to the carnival. Carnivalgoers turned out in force this year for skiing, snowshoeing and sledding at the 5-year-old event, which had been canceled the previous two winters because of rainy weather. Waterville Parks and Recreation Director Matt Skehan said while some also might consider this week’s snow dump to be poor weather, the winter carnival is designed to turn the snowfall from a reason to stay indoors into a reason to come out to play. “Today is just going great. There’s so many families here right now just enjoying the great outdoors,” he said. The sled dogs’ owner, Lindy Howe, 50, said she got into the sport 20 years ago out of determination to enjoy the winter and not let it deter her from going outside. “I just thought, âI’m going to find something for the winter that’s active and in the sun,” she said. 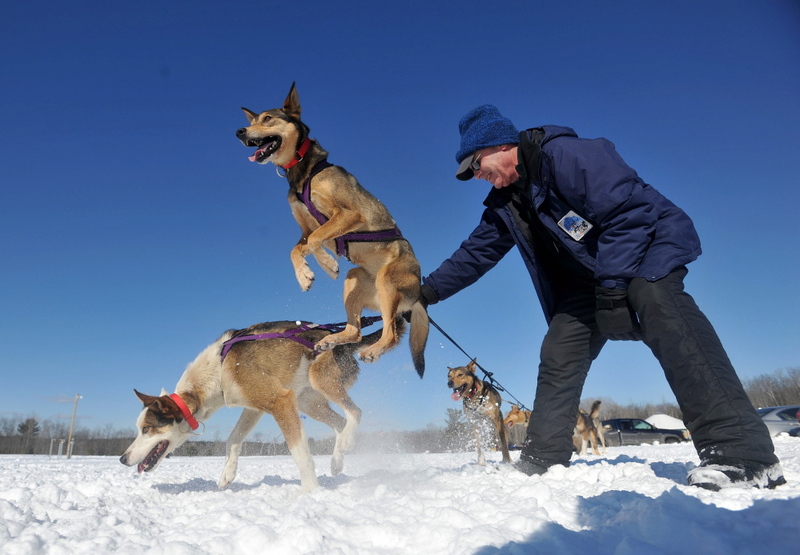 Howe said the goal grew over the years from casual self-teaching to her Augusta business, Heywood Kennel Sled Dog Adventures. 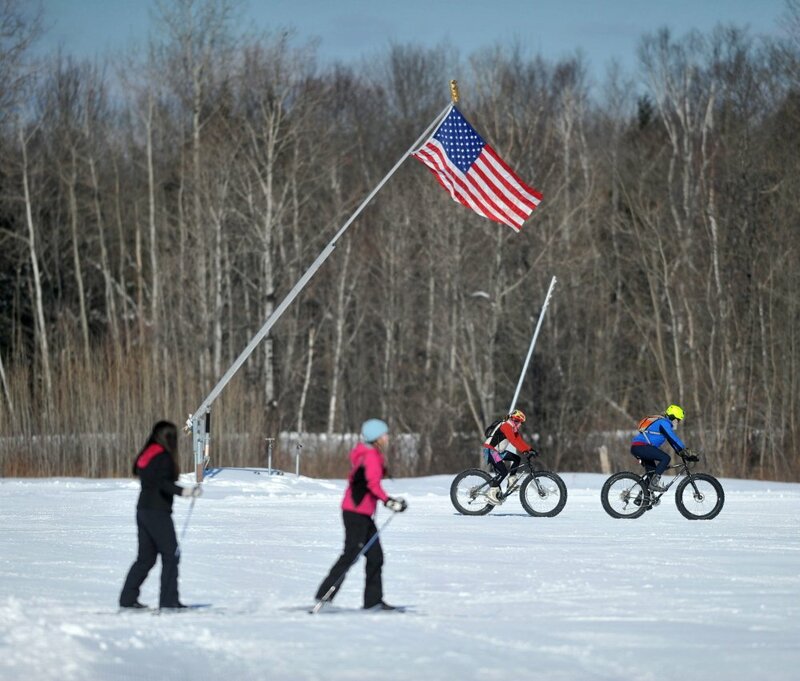 “I didn’t know when I first got started and was rigging up skis to a chair to go picnic in the woods that there was this whole community of dog sledding with specialized equipment and races,” she said. Howe brought 24 of the business’s 35 Alaskan huskies, which she called the “mutts of sled dog racing.” The dogs that were brought to the sidelines to rest were pulling at their leashes anxiously while waiting to be rotated back in. 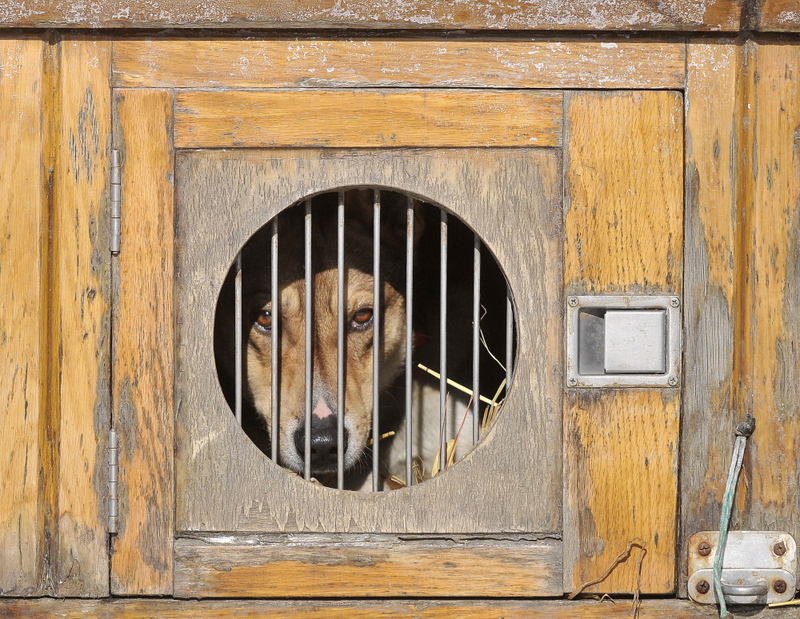 “They’ve caught on that the squeaky wheel gets the oil,” Howe said and nodded toward one dog, Chief, who had been waiting the longest to be rotated back on a sled team and eagerly yelped when the team drove by. At the end of the winding line for the dog sleds, Scott Taylor waited with his two children, Katie and George, who go to the recreation area for ski lessons with the Central Maine Ski Club. “It’s awesome,” said Katie, 7, who rattled off a long list of friends she has in the club. “I like when you get to go down and go fast,” George, 6, said while running crouched and pretending to hold to ski poles. Scott Taylor said the recreation area is a way for them to get outdoors even when the weather is cold. “Winter doesn’t have to mean staying indoors, if you don’t let it,” he said. John Koons, who lead the effort to create the Quarry Road Recreation Area, said he was pleased to see the residents, especially the first-time visitors, enjoying the free event at the rejuvenated site that was once Colby College’s alpine ski slope. “We will always have winter. You might as well have fun with it,” he said. Event volunteer Suzanne Uhl-Melanson, 59, said she was happy to donate her time running carnival’s tree maze because she thinks the recreation area improves the community’s appeal.